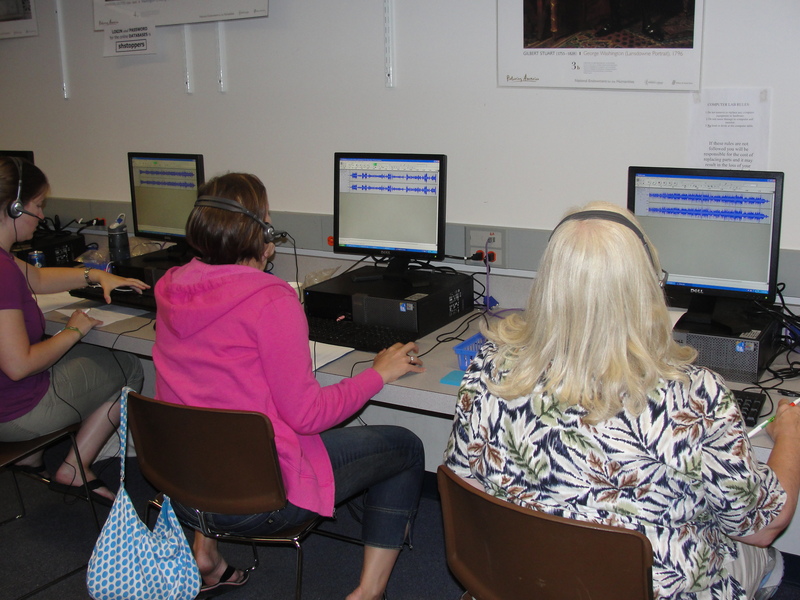 Recently, I taught two workshops using the open source audio editing software, Audacity through the Somersworth, NH School District. @brophycat (AKA Cathy Brophy, a good friend and colleague) invited me to share my knowledge of the software with preK-12 teachers and make it practical for their teaching. I was excited to do so! In the workshop, we recorded, manipulate and mixed sounds. For an activity, participants uploaded music from FreePlayMusic.com, actively listened to it, came up with a story and started to record a voice over track. We also had fun using one participant’s singing skills! Lorraine sang Row, Row, Row Your Boat four times, laying down four tracks, creating a round all by herself. Way to go, Lorraine! Needless to say, there was a lot of work, play and learning packed into our short 2 1/2 hours together. For more info about how to use Audacity in your teaching, please contact me. I love discussing the possibilities with this program!